Psychology and Grammar: Are Grammar Nazis Losers? As an English lecturer, I am often mindful of what I post on social media. That is, I don’t want to commit any mistakes on my spelling and grammar. Although proper usage is what I preach inside the classroom and I often correct mistakes on grammar, spelling, punctuation, usage, and syntax, among other things. Since English is not my first language, I am certainly not perfect and grammar slip ups could easily happen. There are different kinds of typos. There are the kind you make when you’re in a rush and typing really quick with your big fingers on the world’s smallest keyboard. There are also the kind you make when you never learned the difference between ‘your’ and ‘you’re’ in grade school. Well, that’s absolutely fine except that for some people it isn’t. They are the grammar Nazis, those who are overly nut about spelling and grammatical rules and are quick to point it out. These people are utterly annoying; not just because they’re pointing out mistakes, but for the added conceit of thinking they’re doing you a favour by giving you a free grammar lecture. 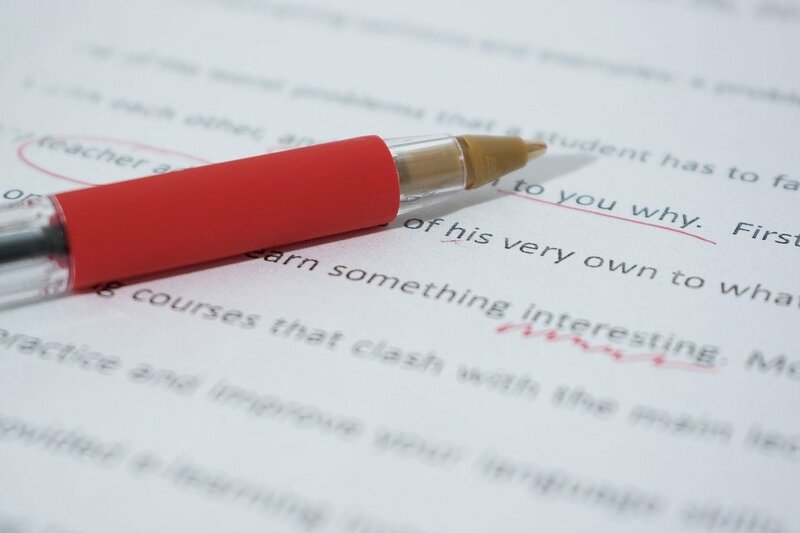 According to seminal study done in 2016, people who are more sensitive to written typos and grammatical errors are indeed the kinds of jerks we already suspect them to be. Extraverts were more likely to wave off spelling errors. It was revealed that extraverts were more likely to wave off spelling errors, while introverts were basically like, ‘You’re a moron, learn to construct a proper sentence, for Pete’s sake.’ Less agreeable people were more likely to notice grammar errors, which the researchers attributes to a possibility that these types ‘are less tolerant of deviations from convention.’ People who were more conscientious and less open were more sensitive to typos. On a personal level, I think most grammar Nazis are foolish who are desperately trying to make themselves look more intelligent. Spelling things correctly is very important but its not all that matters. Saying you can spell every word in the dictionary does not mean you understand what those words means and if that is the case that makes you are a very stupid person. If someone can use words correctly but can not spell a single one that person might be smart but they need to learn grammar and spelling better. However they might be more educated than a person who can spell everything. Further, if you are going to discredit an entire argument or a person based on spelling alone that means you are incredibly shallow and not intelligent enough to grasp complex concepts. Which just means that person you were insulting is probably more times smarter than you are. Well, I am not saying that we should just ignore language rules. Pointing out typos in articles or presentations is a fair game. But doing it in Facebook posts or in a text message means that you are something else. Anybody is prone to commit mistakes. And when someone corrects you, look at that from a bright side as their correction would develop your writing skills. Rona dela Rosa is the Digital Assistant of Psychreg. She looks after our social media channels to ensure that we have a strong presence on Twitter, Facebook, and LinkedIn. Rona is a PhD student at Bulacan State University where she is doing her research project on language and education. She finished her bachelor’s and master’s degrees from City of Malabon University. Rona also serves as the Manuscript Assistant for Psychreg Journal of Psychology. What Does Changing Labels Achieve?